When I interviewed Gilles Choukroun, one of the darlings of a new generation of French chefs who are injecting playfulness into French food, he had just opened the Mini Palais, a beautiful restaurant in Paris’s newly renovated Grand Palais exhibition hall, across from Les Invalides. In addition to his nascent restaurant empire, Gilles is also the father of Generation C, which stands for “Cuisines et Culture,” a group of chefs who teach cooking to the disadvantaged in Paris. Gilles, whose father is a Jew from Algeria, experiments with the spices and flavors of North Africa to accent his French food. One of his signature desserts is this refreshing citrus- fruit soup. It makes the perfect ending to a North African meal, especially with cookies on the side. 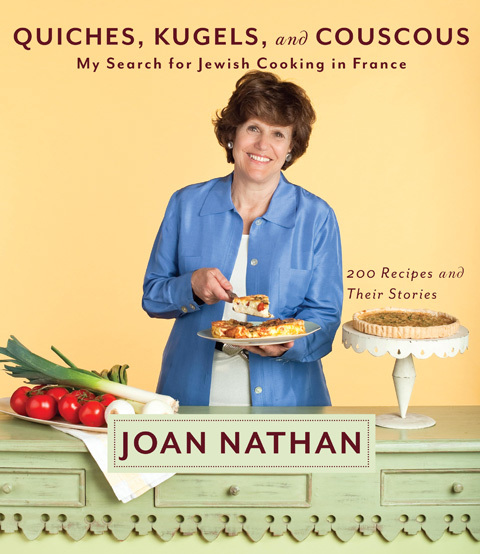 From Quiches, Kugels and Couscous: My Search for Jewish Cooking in France by Joan Nathan (Knopf). Copyright Joan Nathan, 2010, available to purchase on Amazon.